But you may have a hard time hearing that in the West Bank. “There are streets you can step on because you are Jewish and Palestinians have to take a different path[…] It’s very difficult to see this kind of separation,” said Noam Lekach of Israeli direct action group Anarchists Against the Wall. AATW visited Concordia last Friday as part of the organization’s North American speaking and fundraising tour. The group, which has participated in thousands of demonstrations and other acts of protest against what they call the “Israeli occupation” of Palestine, is in desperate need of money to address rising legal fees created by the constant arrests of its members and others in the movement. 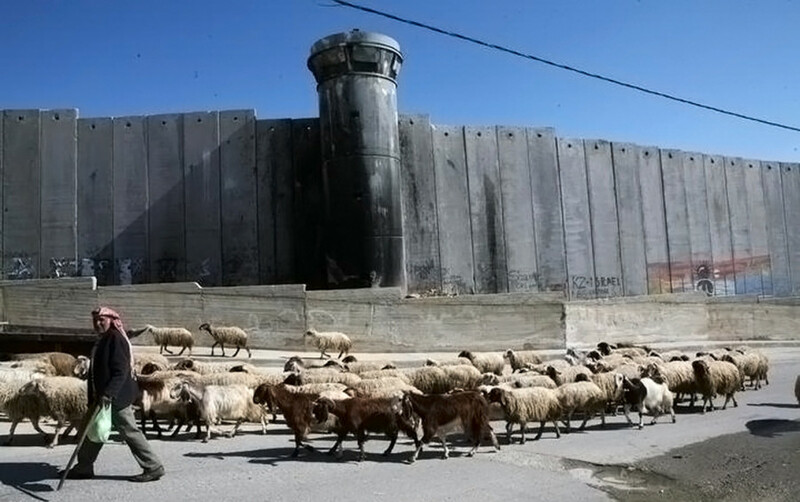 Founded in 2003 after Palestinians invited several Israeli activists to join in the popular struggle against the construction of the wall that divides Palestinians from Israelis, AATW’s first action was to protest the fence at a point where it cut Palestinian farmers off from their land. During the action, Israeli soldiers fired live ammunition at the demonstrators, injuring some of the Israeli activists. According to Lekach, this had permanent consequences for the popular struggle. The contested wall is the West Bank “security barrier,” which the state of Israel began building in the summer of 2003. In some places, it is a chain-linked fence crowned with barbed wire; in others, it is an eight meter high concrete barricade. The average width of the “exclusion area” around the wall—where no construction can take place—is 60 metres. In total, the wall stretches for 790 kilometers around and within the West Bank. It takes up 10,512 acres of land, mostly on Palestinian territory. AATW, according to its mandate, is not only against the wall, but the occupation as a whole. They serve as front-line support in the Palestinians’ non-violent popular struggle in the West Bank by moving roadblocks off Palestinian roads, cutting down wire fences, blockading Israeli highways, rebuilding homes and escorting Palestinian farmers and shepherds around Jewish settlements. Unlike other solidarity organizations, AATW operates solely with the permission of the Palestinians. The price, of course, can be very high. According to Lekach, activists are often seriously injured or even killed by the firing of high velocity tear gas canisters and rubber bullets. Lekach says that Israeli activists are considered traitors. Still, he says that more and more people are acting in solidarity with Palestinians. “We believe only a joint struggle can bring change,” he said. This article originally appeared in The Link Volume 31, Issue 15, published November 23, 2010.